It was obvious Jeff had many unresolved issues when I entered his life including, his parent’s divorce and learning his mother was now sexually involved with other women. Then add on the pressure of transferring to a new college and lastly dealing with me and what to do with our relationship as he prepared to leave for school late December. Jeff and I decided not to totally break up with each over but we also decided it would be okay to see other people if we chose too. I also introduced him to a co-worker I became really close too while working with her at a upscale north shore boutique. This girl was also transferring to the same university as Jeff. I knew she could introduce and help Jeff find friends since she was the type of girl, who could find the most popular desirable group of people anywhere she went. Well she gladly offered her friendship to Jeff and as I predicted she introduced Jeff to the most popular fraternity on campus. 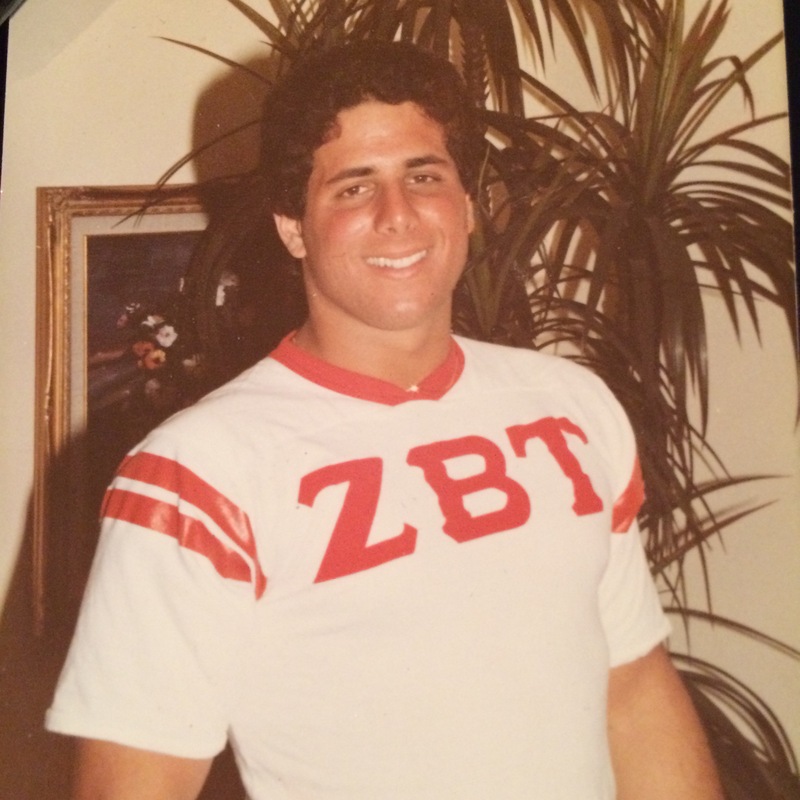 He rushed the frat and endured the crazy hazing rituals and moved into their frat house. The problem was the guys in the frat mostly came from money had fancy cars and expensive recreational drug habits. Jeff got caught up in their lifestyle to the point that he stopped going to classes and used tuition money to fuel his growing drug habit. When Jeff’s dad found out about he was not attending classes he pulled Jeff out of school and he was forced to come home. When Jeff came home he was different. He seemed angry all the time and he was in a very dark place. We still spoke and got together once in a while but I was involved in new relationships and eventually Jeff moved on too. It was right after graduating Hofstra University with a BA in Communications/Journalism when I bumped into Jeff at a popular north shore club. It was over a year or so since I last saw him. He and I started talking and I noticed he was in a very bad mood and was cursing non stop. I wanted to get out of that club and away from Jeff. He was acting scary. I walked out of the club and to my parked car and Jeff followed me. At that point i said to Jeff, Do you want to get something to eat and talk?” I felt like something was really wrong with him and wanted to try and help him. I thought ok, and hugged him and gave him a light kiss on his cheek. So I let him hug me tight and give me a long kiss on my lips. That was the last time I would ever see Jeff. The next evening Jeff committed suicide by cutting his wrists and sitting in his running car inside a closed garage. It turned out I was the last person to see him alive. Jeff was 21 years old. Two of my brothers have committed suicide. I think, after all of my reading and talking and learning about suicide, I’ve come to the conclusion that once a person decides they are going to commit suicide, they will do it and there is nothing anyone can do, except maybe put it off for a bit. If they really want to, they will do it regardless of who intervenes or how many times they are stopped. They will find a way and a time and a place. There really wasn’t anything you could have done to stop him. That said, I do know how you feel. Not a day goes by when I wonder if it would have made a difference if I had reached out to one of my brothers, even though I didn’t know what they were going through. So sorry about your brothers Corina. It is true what you wrote. Jeff wanted to die so he not only slit his wrists but also sat in the running car inside a garage. He timed it almost perfectly. His mom got off from work that night and saw the fumes coming out of the garage. She screamed for her neighbor across the street to help her because she was a RN. He was still alive when they pulled him out of the car. The nurse quickly bound his wrists to stop the bleeding. They called 911 for a helicopter, but Jeff died before the medics came from because of the gas fumes he breathed. When I got the call and his best friend told me about Jeff, I actually fainted and my parents had to call 911. 600 people mostly young attended his funeral. My mother didn’t want me to go because she was afraid his family would blame me because I was the last one to see him. I had to go pay my last respects and was about to leave to the service when my mom suddenly said she was going with me. That meant so much too me. At the service Jeff’s dad hugged me and told me how I was the love of Jeff’s life and how happy I made him. We cried together. I still have the gold puffy heart Jeff gave me for my first anniversary tucked away in a box. The anger I felt is long gone after so many years. I know I never had enough time to see all the signs to save Jeff. If somebody truly wants to die there is nothing anyone can do to stop them. Thanks for writing your heartfelt comment. I wish you peace and love. Still wish I could of seen the signs the night before when he really saying goodbye for good. Be thankful he chose you to be the last person to see him alive, because it means you meant so much to him. That’s more than most people can claim, I should say.